As the end of the year is quickly approaching, here are some ideas that you can share with your plan sponsors of items that they should be aware of. Add a Safe Harbor provision. If the plan annually fails compliance testing, then a Safe Harbor plan design could be a good option. Research alternative plan designs for possible tax deferral including non-qualified deferred compensation plans and cash balance plans. Review the plan design for possible changes including adding a Roth option or amending your plan’s cash out provisions. Make sure all Required Minimum Distributions have been processed. 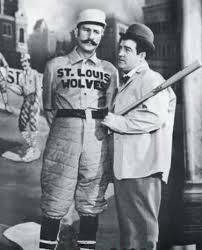 Sometimes it can feel like you are trapped in that famous Abbott and Costello “Who’s on First” act (check out this link for the full transcript and a little comedic break: http://www.baseball-almanac.com/humor4.shtml) when trying to figure out who in your organization is responsible for the plan and what are the roles of the vendors that you have hired to service the plan. Even though it can be challenging and at times a bit maddening to determine all of the players, it is a must in order to hold all parties accountable for the proper administration of the plan. My advice is to start within your organization. First and foremost identify the individuals who are fiduciaries to the plan. A fiduciary is any individual or entity that has, or exercises discretionary control over the management of the plan or the plan’s assets. It is important to note that a plan can have more than one fiduciary and an individual can serve in more than one fiduciary capacity. An owner or Board of Directors/Trustees member is almost always a fiduciary. We will further explore the definition and role of a fiduciary in a later blog. Next, determine who within the organization is responsible for the ministerial, day-to-day operation of the plan. This person more than likely processes payroll, approves distributions, and assists with plan enrollment. While ministerial functions like these do not make this person a fiduciary, the importance of this role cannot be underestimated since the timely contribution of employee deferrals after they are withheld from the employee’s pay is one of the most audited items in plan administration. Once you have established the basic roles and responsibilities, I would strongly urge your company to go a step further and officially name a retirement plan or benefit committee. This should be done by having your Board of Directors/Trustee select and appoint members of your organization that have some working knowledge of your benefit plans and of the general principles behind investing. In order to help guide your committee’s investment related decisions, I would also advise that you put an Investment Policy Statement (IPS) in place. If your organization has already taken these steps, bravo, if not, we certainly can help. 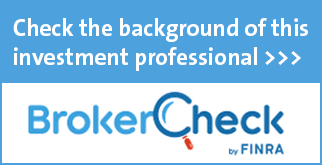 The final component of determining who does what is to clearly define and understand the roles of all of the providers that you have hired to help with the administration of the plan. This may include your third party administrator (TPA), recordkeeper, financial advisor, and auditor and ERISA attorney, if applicable. It should also be noted that your TPA and recordkeeper may be the same company. While you may be able to easily identify each of these providers, it may be less clear what role they each play when it comes to the operation of the plan. If it safest to never assume that someone is “doing that for me” or “is handling that”, but rather to get in writing what to expect from each. If you need some direction in determining who is on the 401(k) playing field for your team, please give me a call at 205-970-9088 or email jamie@grinkmeyerleonard.com.